Boost pyrometer gauge and cast aluminum mounting cup exclusively from Hypermax. Fits F-Series turcks, Excursions, and vans. 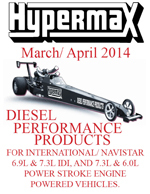 Boost pyrometer mounting cup exclusively from Hypermax. Designed to hold the Hypermax pyrometer gauges for F-Series turcks, Excursions, and vans. Boost pyrometer gauge exclusively from Hypermax. Fits the Hypermax aluminum mounting cup for F-Series turcks, Excursions, and vans.